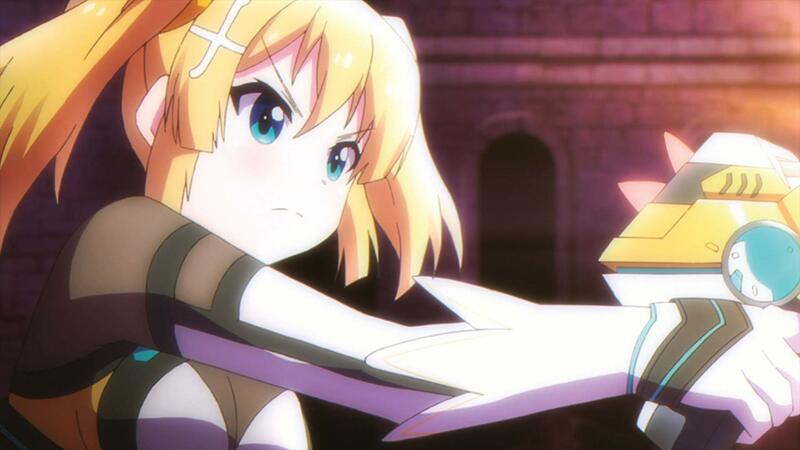 Making an anime adaptation for a mobile game was once something that was a risky endeavor. Now this practice has become something of a commonplace situation where nearly every season has at least one series meant to promote the mobile game. Battle Girl High School happened to be one of these series but unlike other adaptations, this one tried something a bit different but does that help it stand out? The year is 2045 and humanity has been pushed to the brink of destruction by the unknown forces called the Irousu. What makes these enemies so threatening is the fact that they are almost impossible to defeat except for girls known as the Hoshimori who are capable of wielding weapons and powers that can slay the beasts. The girls, also called Star Guardians, are still young and while they are trained to fight, they still attend school like everyone else. Generally when an anime adaptation is made for a mobile app, the series begins with telling the story from the beginning as an attempt to try and bring fans into the game as easily as possible while also showing current players animated events that they’ve already experienced. As mentioned before, Battle Girl High School does something different and that happens to be telling a completely different story that takes place far into the game’s actual events. In a way, this does help make the story interesting for viewers who are already familiar with the game but if you either haven’t played the title before or, like many in the West who have never heard of the game, this ends up being a rather large downside to the way the anime handles the storyline. In fact, the story skips over a number of large plot points in an attempt to bring the entire class of characters, of which there are over fifteen different girls to try and introduce, together. There are snippets of backstory scattered throughout the season to try and tell how some characters, such as Sadone and the idols f*f ended up joining the force but most of this content is sacrificed for various slice-of-life elements. The core of the storyline focuses on a brand new character introduced in the anime, and later added to the game through an event, Misaki and her mysterious origins. Unfortunately this story only happens to hold together during the first couple of episodes before bringing about a twist at the end of the series to try and wrap everything up following numerous episodes simply following these girls doing various cute things and interacting together all while no actual character development takes place. It is interesting to note that the player character, who takes on the role of the girls’ teacher, is still represented in the anime but is mostly relegated to being a side character. One of the main features of Battle Girl High School‘s original mobile app was the tendency for the gacha to release different versions of the female cast wearing various outfits and it is nice to see that the animators at least made sure to showcase some of that element. 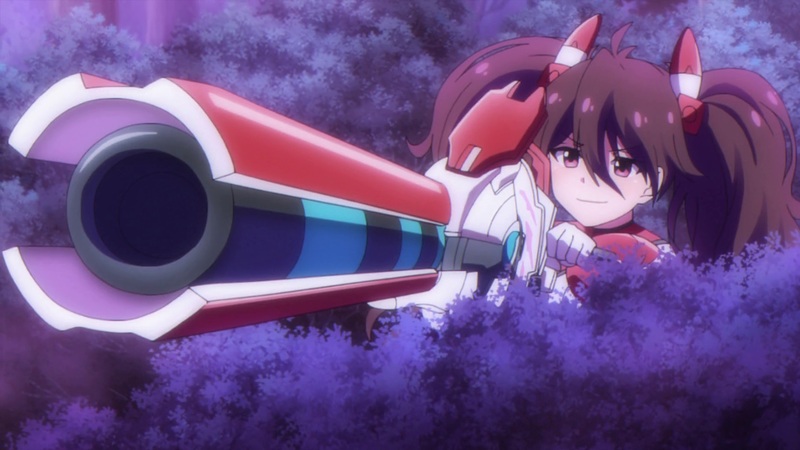 While the girls are tend to usually wear the same combat uniforms while fighting against the Irousu they are also shown wearing many of the costumes only seen through the gacha system and this helps keep viewers interested by changing up the feel of the series through the lengthy filler episodes. The combat animation as well as the designs of the Irousu are handled well enough but it is worth noting that certain elements do look rather rough at times and battles tend to have more than a few obvious drops in animation quality. It is worth noting that Sentai Filmworks has released this series with only the original Japanese voice track but that being said, this title features a rather impressive list of Japanese voice actresses. Despite the large amount of characters this series tries to work with the voice actors do a great job making sure that all of them sound unique in some form. Although Battle Girl High School has a number of background tracks from the mobile game to draw from it is unfortunate that most, if not all, of the background music throughout the series is rather forgettable outside of a few battle scenes that are accentuated rather well by certain tracks. 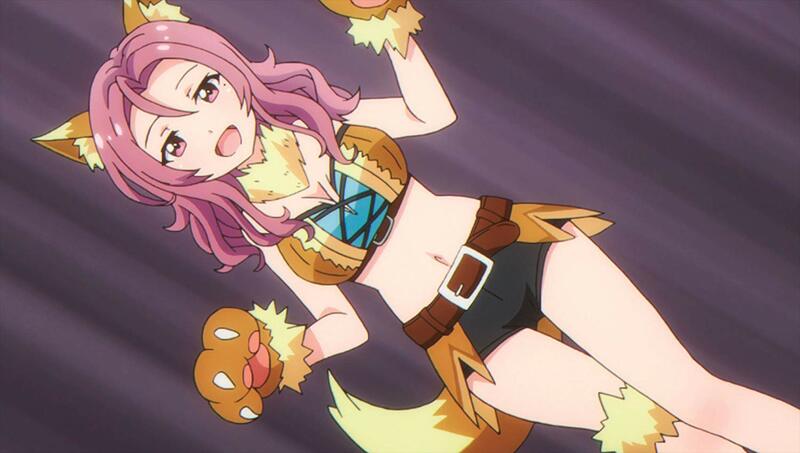 That being said there are a number of insert songs featuring vocals from the in-game idol group f*f who also handle the ending theme for the series and these songs are pleasant to listen to. As for the aforementioned ending theme, it is called “Melody Ring” by f*f while the opening theme “Hoshi no Kizuna” is performed by the voice actresses of the girls. 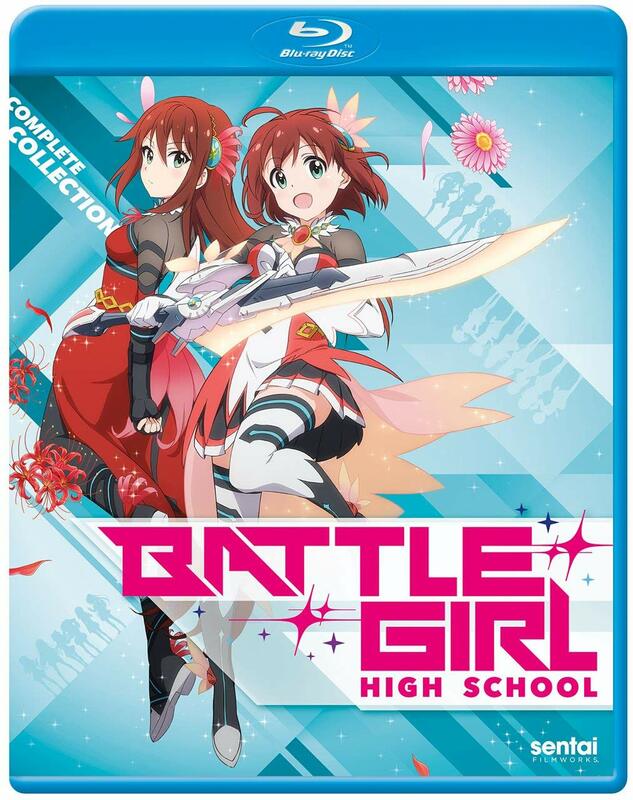 This release of Battle Girl High School only includes a clean version of the opening animations and closing animations as well as trailers for other releases from Sentai Filmworks. As a result of this general lack of focus and there being way too many characters to handle Battle Girl High School fails to really generate much in the way of momentum or any real way to separate itself from the slew of other magical girl action anime on the market. This title does sport a great soundtrack and a slew of cute girls but don’t expect anything special here unless you’re already very familiar with the mobile app. 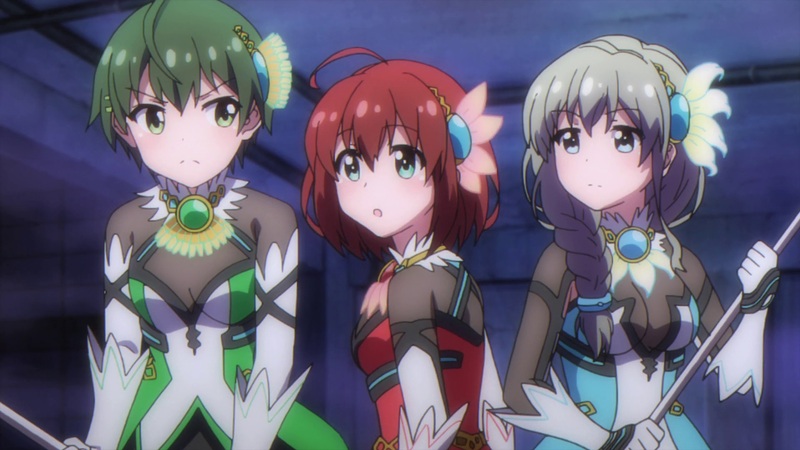 Battle Girl HIgh School does something different from your general mobile app anime adaptations but fails to really capitalize on it in any regard, leaving viewers with a middle-of-the-road adaptation.